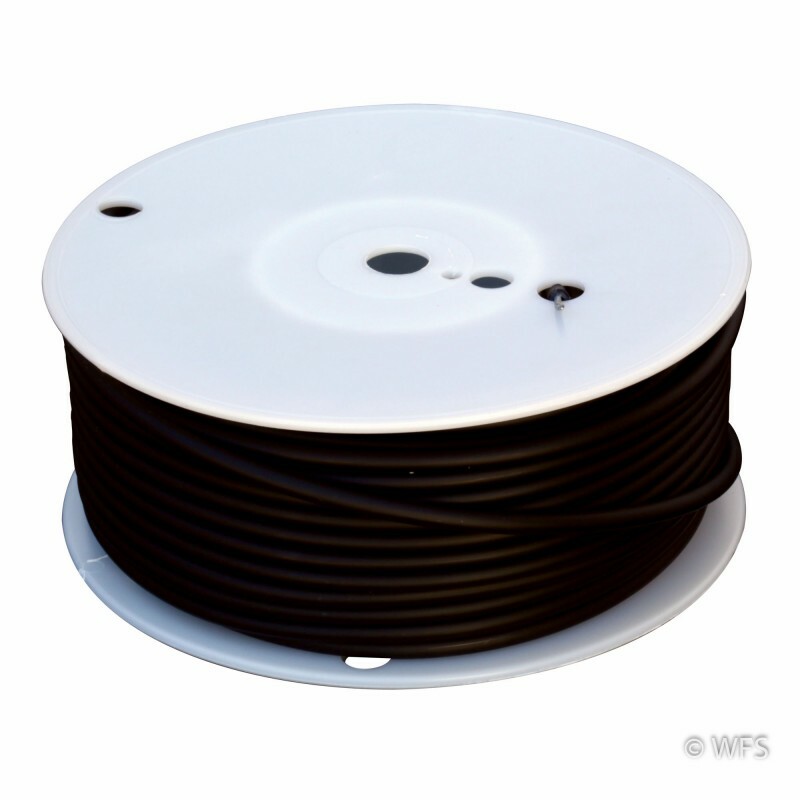 Double coated polyethylene insulated 14 gauge Class 3 galvanized steel wire designed to carry high voltage up to 20,000 volts. Double coated polyethylene insulated 14 gauge Class 3 galvanized steel wire designed to carry high voltage up to 20,000 volts. Use for energizer to fence or ground connections. Available in 50' or 165' rolls, and also sold by the foot. 5 x 9.5 x 9.5 "